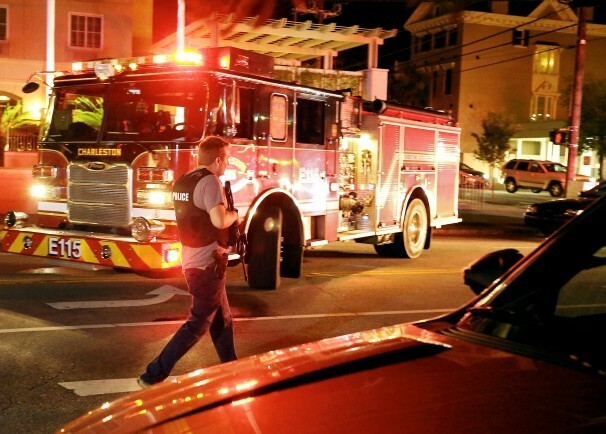 9 dead in shooting at historic Charleston African American church. Police are searching for a gunman who opened fire Wednesday night at a historic African American church in downtown Charleston, S.C. Charleston officials said 9 people were killed and others injured. “I do believe this is a hate crime,” the police chief, Greg Mullen, said at a late night briefing, without explaining the basis for his conclusion. He said as far as he knew there was only a single gunman. Authorities said the victims were involved in a prayer meeting at the time of the shooting. They are hunting a white male, described by police as clean-shaven, in his early 20s with a small build, wearing a gray sweatshirt, blue jeans and Timberland boots. The “message is there was one hateful person who did this dastardly deed,” the mayor said at a late night meeting. Police said there were survivors but did not say how many or what condition they were in. The Charleston Police Department has not yet identified the victims. Police said the shooting occurred about 9 p.m. at the Mother Emanuel African Methodist Episcopal Church between Henrietta and Calhoun streets near Marion Square in downtown Charleston.